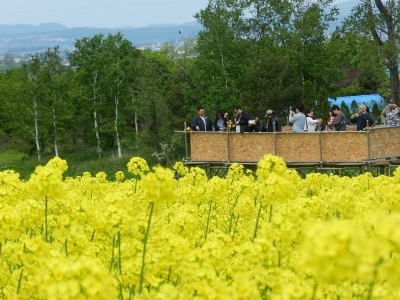 Ebeotsu hill in Takikawa city, 2 hours by car from Sapporo. 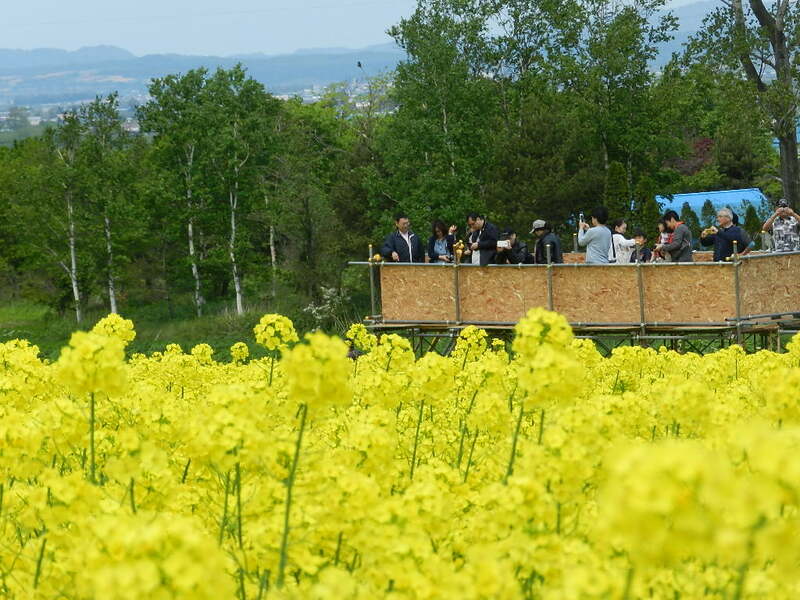 This is the biggest field of Nanohana (Rapeseed flower) in Japan. 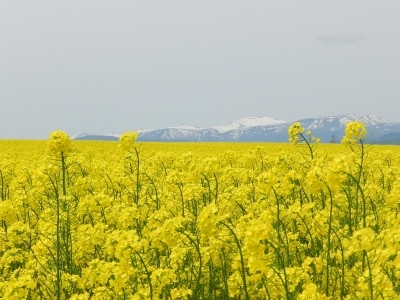 The top season of blooming shows us this brilliant yellow. It's very beautiful and impressive. And you can see the mountain over there. 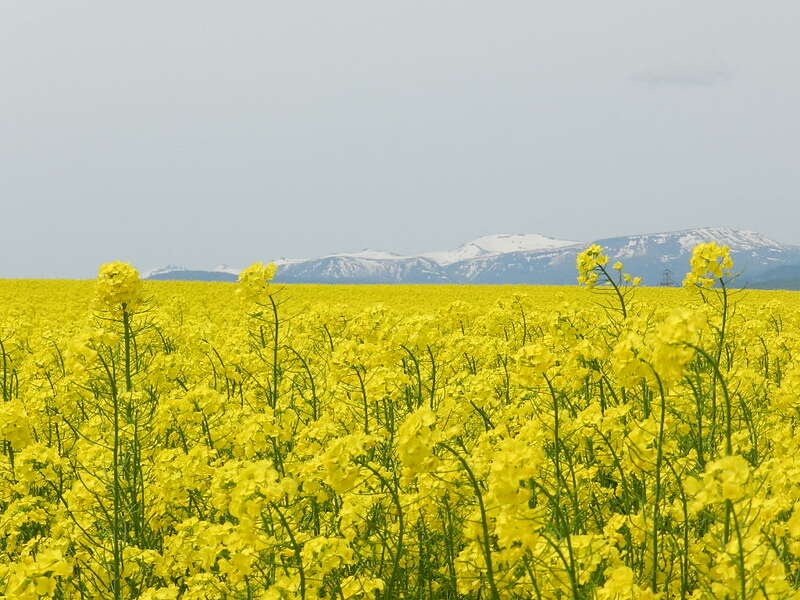 This contrast is the distinctive scenery that can be seen only in Hokkaido. 1.5 million yen! 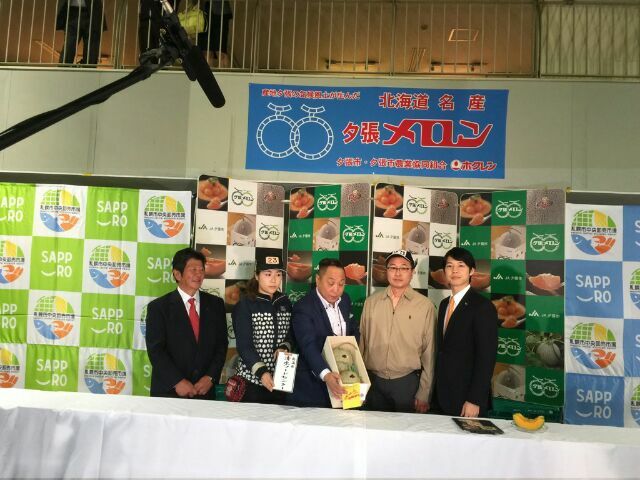 The first auction of Yubari King. 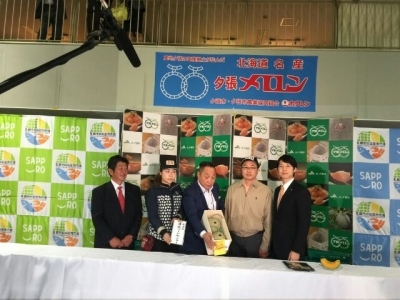 The first auction of Yubari King has been made. Successful bid price of 1.5 million yen in two. The price is 1 million yen cheaper than the last year. But it is the fourth in the past 10 years. Darned delicious melons of Hokkaido. It is now on the season. Rightmost in the photo is the mayor of Yubari city.